If you have a java.io.InputStream object, how should you process that object and produce a String? Suppose I have an InputStream that contains text data, and I want to convert it to a String, so for example I can write that to a log file. Here's a way using only the standard Java library (note that the stream is not closed, your mileage may vary). I learned this trick from "Stupid Scanner tricks" article. The reason it works is because Scanner iterates over tokens in the stream, and in this case we separate tokens using "beginning of the input boundary" (\A), thus giving us only one token for the entire contents of the stream. Note, if you need to be specific about the input stream's encoding, you can provide the second argument to Scanner constructor that indicates what character set to use (e.g. "UTF-8"). Hat tip goes also to Jacob, who once pointed me to the said article. Using Stream API (Java 8). Warning: This solution converts different line breaks (like \r\n) to \n. Using parallel Stream API (Java 8). Warning: This solution converts different line breaks (like \r\n) to \n. Using BufferedReader (JDK). Warning: This solution converts different line breaks (like \n\r) to line.separator system property (for example, in Windows to "\r\n"). Solutions 4, 5 and 9 convert different line breaks to one. Of course, you could choose other character encodings besides UTF-8. Taking into account file one should first get a java.io.Reader instance. This can then be read and added to a StringBuilder (we don't need StringBuffer if we are not accessing it in multiple threads, and StringBuilder is faster). The trick here is that we work in blocks, and as such don't need other buffering streams. The block size is parameterized for run-time performance optimization. The readAllBytes is currently in JDK 9 main codebase, so it likely to appear in the release. You can try it right now using the JDK 9 snapshot builds. I did a benchmark upon 14 distinct answers here (sorry for not providing credits but there are too many duplicates). I'd use some Java 8 tricks. Essentially the same as some other answers except more succinct. I ran some timing tests because time matters, always. I attempted to get the response into a String 3 different ways. (shown below) I left out try/catch blocks for the sake readability. 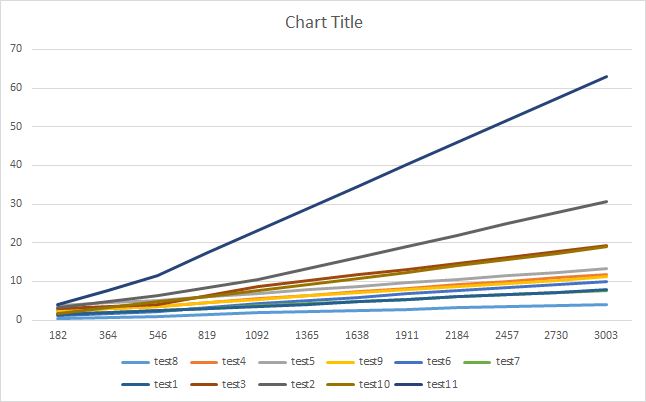 So, after running 500 tests on each approach with the same request/response data, here are the numbers. Once again, these are my findings and your findings may not be exactly the same, but I wrote this to give some indication to others of the efficiency differences of these approaches. Any of these approaches is an appropriate solution for grabbing a response and creating a String from it. Pure Java solution using Streams, works since Java 8. Mixing Java and Scala code and libraries has it's benefits. This is an answer adapted from org.apache.commons.io.IOUtils source code, for those who want to have the apache implementation but do not want the whole library. EDIT: On JDK 7+, you can use try-with-resources construct. Here is the complete method for converting InputStream into String without using any third party library. Use StringBuilder for single threaded environment otherwise use StringBuffer. Here's how to do it using just the JDK using byte array buffers. This is actually how the commons-io IOUtils.copy() methods all work. You can replace byte with char if you're copying from a Reader instead of an InputStream. is Kotlin standard library’s built-in extension method. The utility methods in org.springframework.util.StreamUtils are similar to the ones in FileCopyUtils, but they leave the stream open when done. You control the read buffer size. You can provision the length of the builder and can be not exactly. Is free from library dependencies. Is for Java 7 or higher. The easiest way in JDK is with the following code snipplets. Ok, I spend many time on this, I don't get what I'm doing wrong. 2478 What does PermGen actually stand for? 4091 In Scala, why could remainder (%) operator return a negative number? 5467 How to skip leading whitespace in input stream C++? 4773 In java, how do you write a java.awt.image.BufferedImage to an 8-bit png file? 8742 Get offset in file read by BufferedReader? 5216 Can you explain the HttpURLConnection connection process? How do I use trigonometric functions? Fill SERFF template XLSM File using C# EPPLUS library? Conditional compilation depending on function argument?